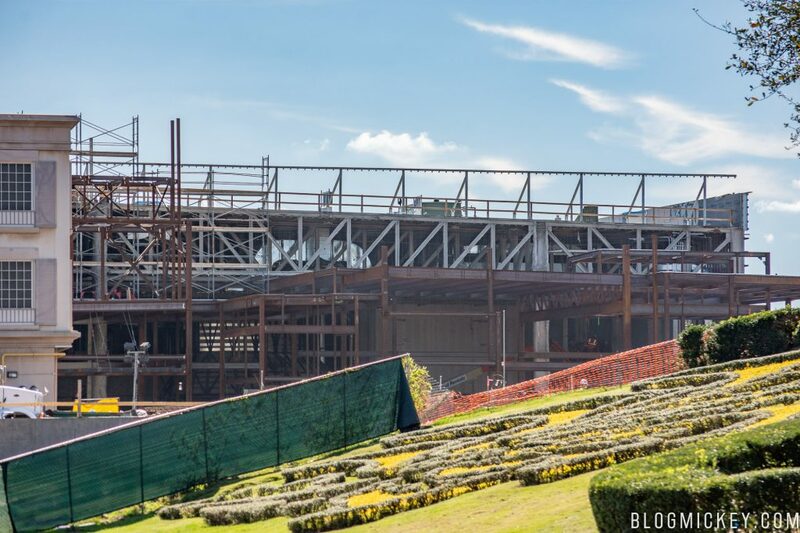 On our trip around Epcot today, we took some time to check out the latest construction going on around the park. 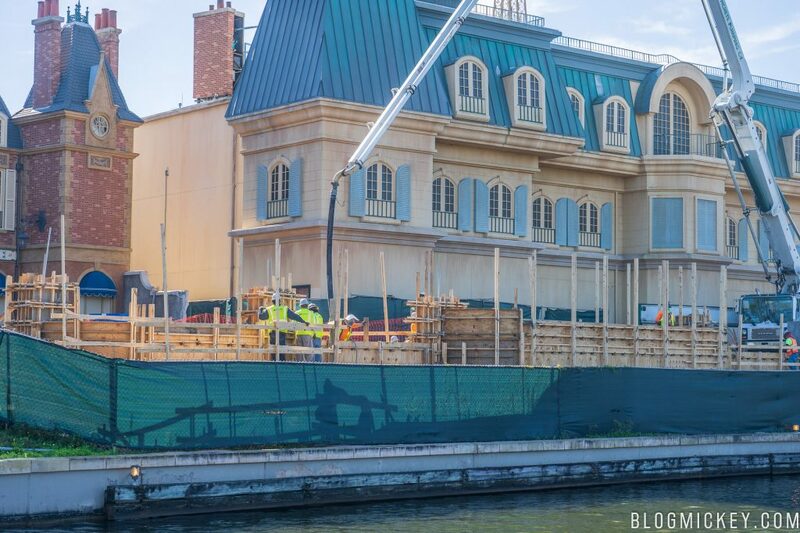 We already brought you a first look at vertical construction of the signature restaurant coming to the Japan pavilion and now it’s time to check in on the construction going on at the France pavilion. 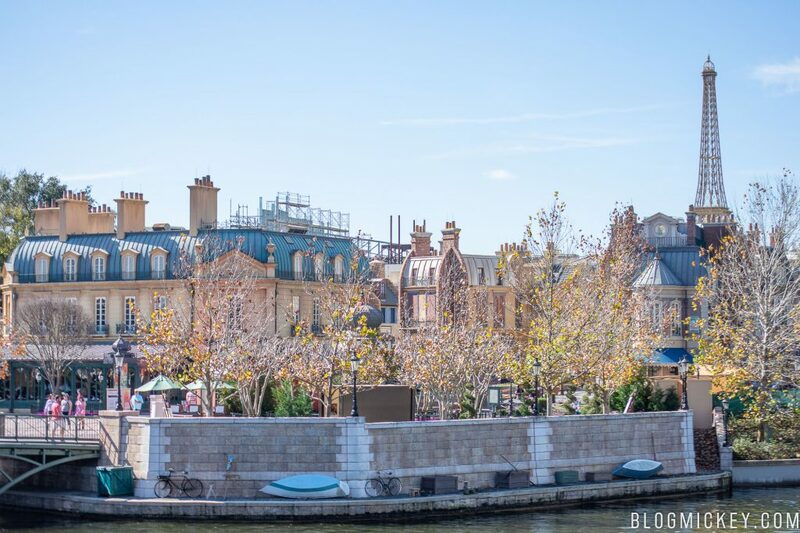 As you may know, Remy’s Ratatouille Adventure will be coming to the France pavilion in the next year or two. 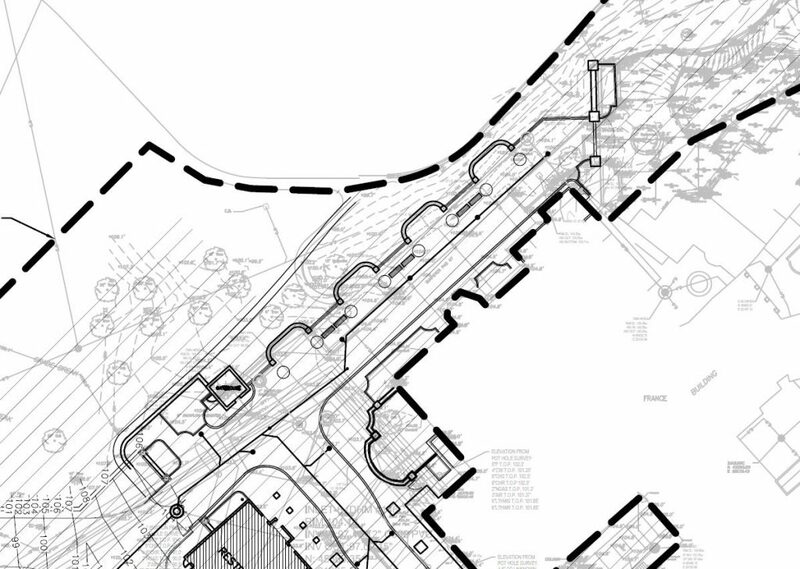 As part of that addition, the France pavilion as a whole will be growing to accommodate the new attraction. 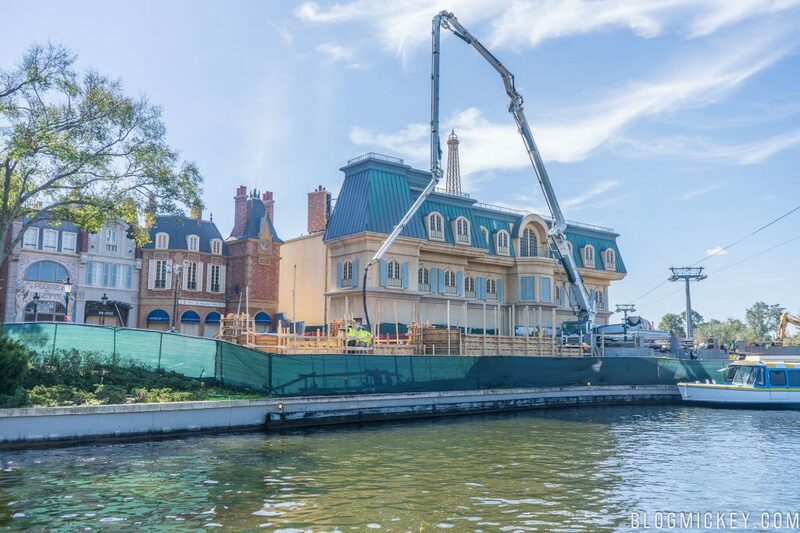 As outlined in permits, guests will get to Remy’s Ratatouille Adventure via a new pathway to the right of the existing pavilion. We start our coverage of the construction there, where crews were pouring cement this morning. It comparing the permit linked above to some already completed concrete forms paints a clearer photo of the stroll along that water that we’ll be taking when the expansion opens. Turning our attention to the front of the pavilion, we can see some new facade construction rising above the existing rooftops. 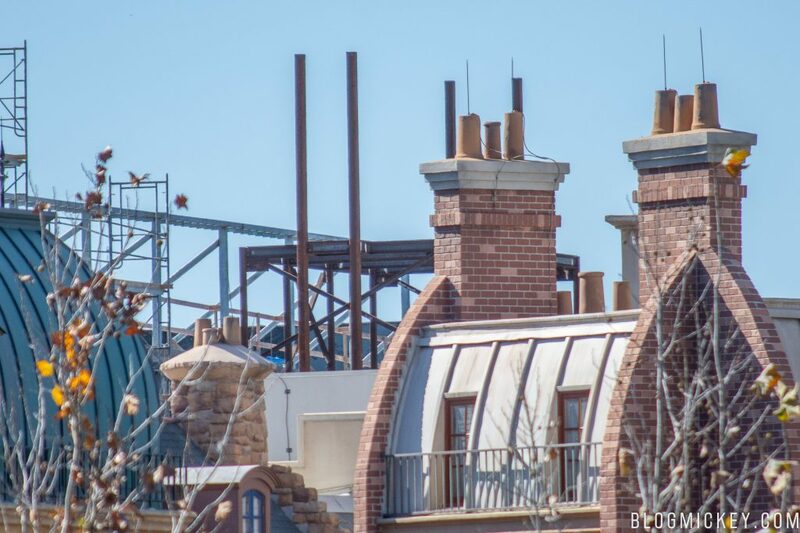 Of course, using a zoom lens could blow things out of proportion, but we will definitely be able to see the Remy’s Ratatouille Adventure facade from the front of the France pavilion. The photo below was taken from the bridge that connects the France pavilion to the United Kingdom pavilion. 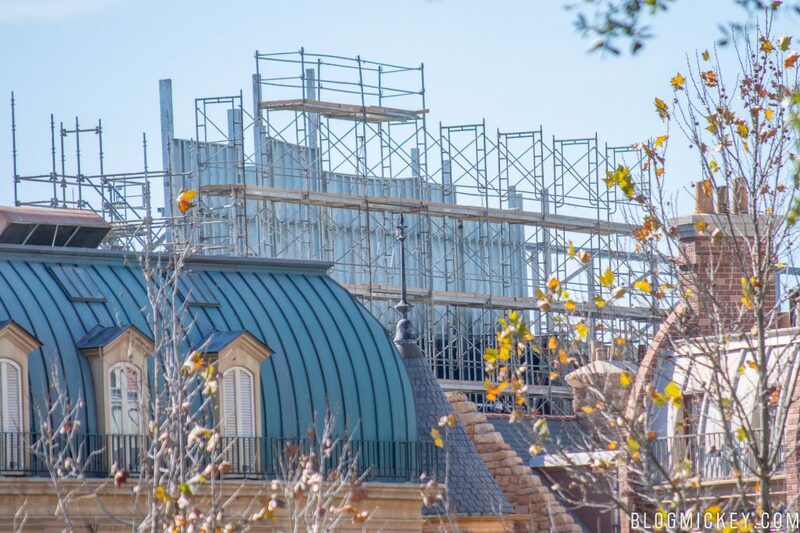 You won’t be able to see the new facade from inside the France pavilion. 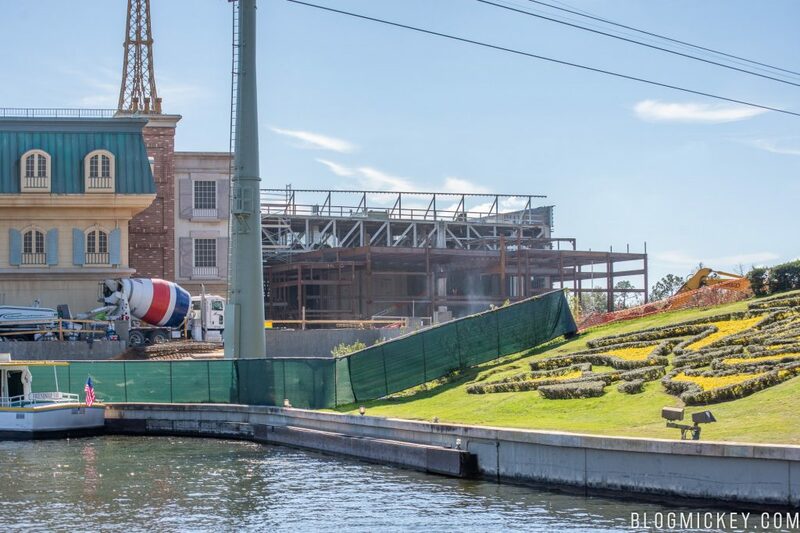 Speaking of sight lines, here’s a look at the Remy’s Ratatouille Adventure show building from across World Showcase lagoon. 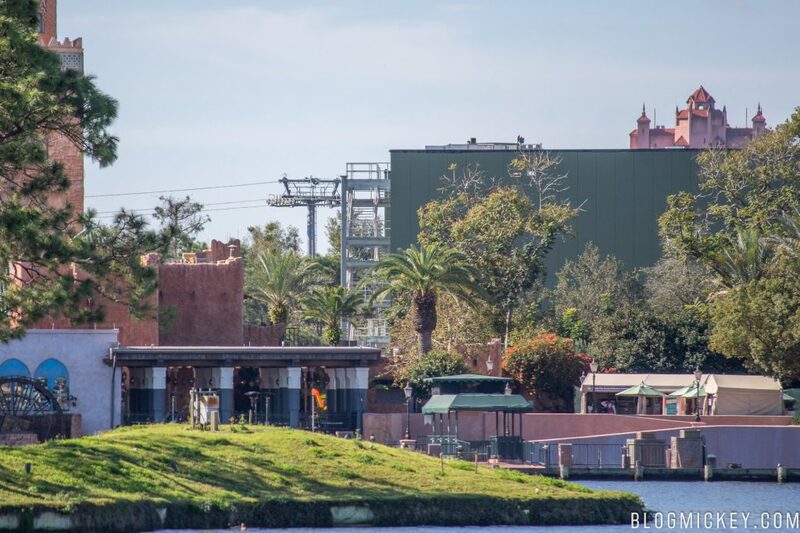 From across the lagoon, we can see a Disney Skyliner gondola tower behind the building. It’s not going to impact the average guest from inside Epcot, but the views from the Disney Skyliner will likely be interesting when leaving or approaching the International Gateway station. 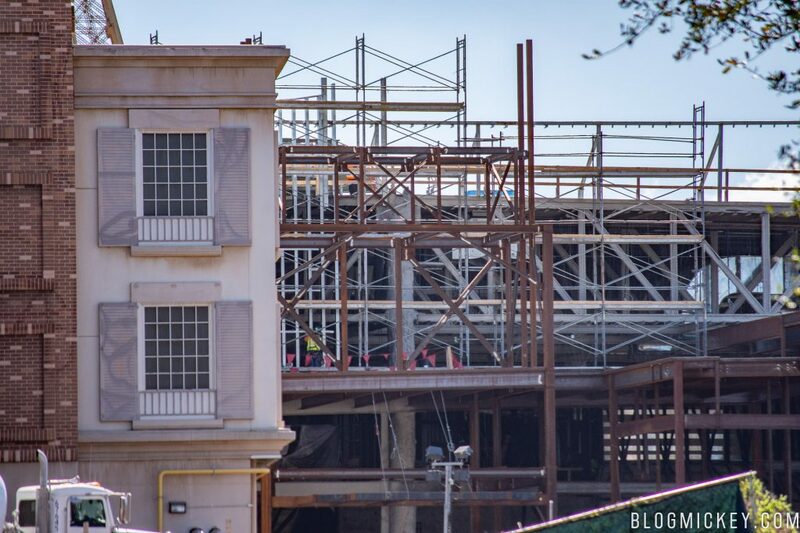 Finally, we wanted to provide a better look at the facade construction going on so we walked over to International Gateway. From the walk between Epcot and the Epcot area resorts, we get a good look at what will eventually be the front of the attraction. Here’s a wider look at the facade and the entrance concrete pour that we already examined above. They’re working on the facade from left to right as seen above. We can almost see the facade construction around the existing structure. 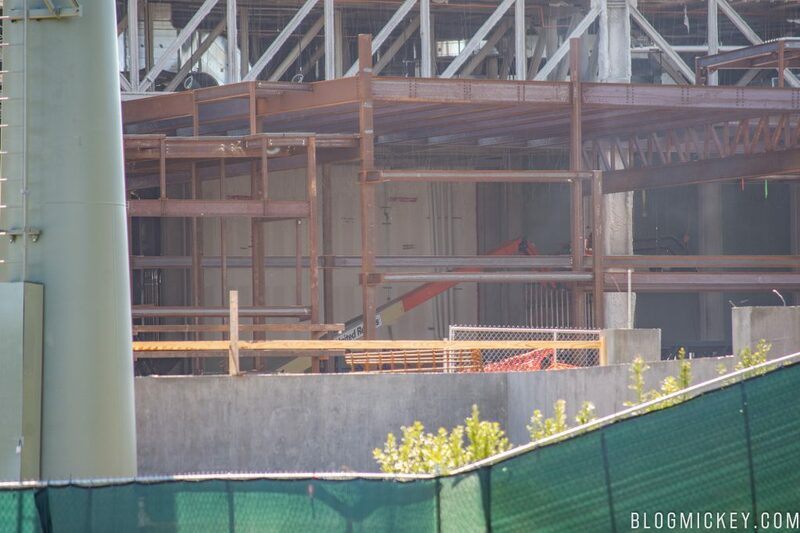 We end our photo report by taking a look inside the attraction where we can see a cherry picker working on the interior walls. Disney has yet to announce an opening date for Remy’s Ratatouille Adventure. Any info on EPCOT’ s entrance Hotel? 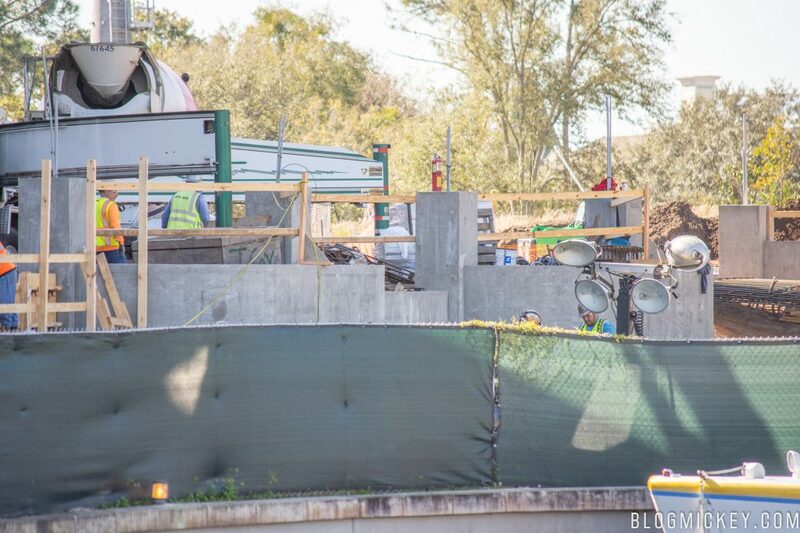 Or anything on EPCOT’s Bus parking area construction?